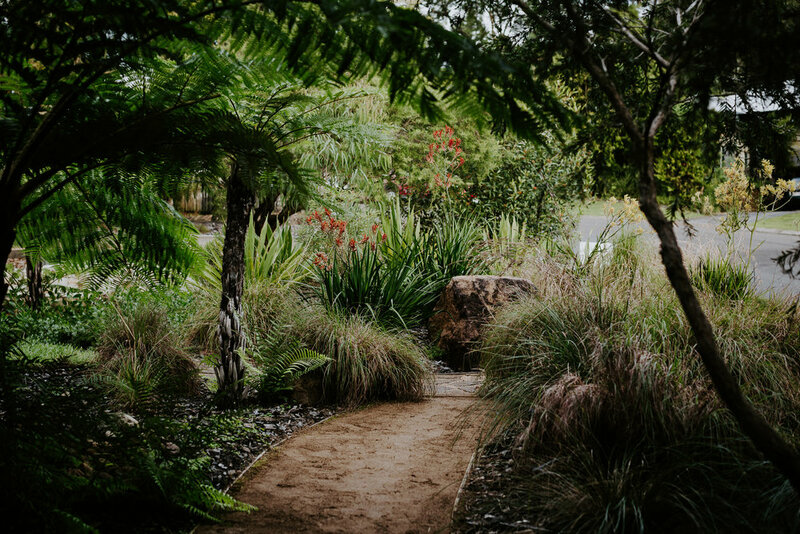 Justin designed this front yard garden showcasing his passion for native Australian plants. He wants to inspire others to welcome them into their own gardens for their beauty and sustainability, and to support wildlife. 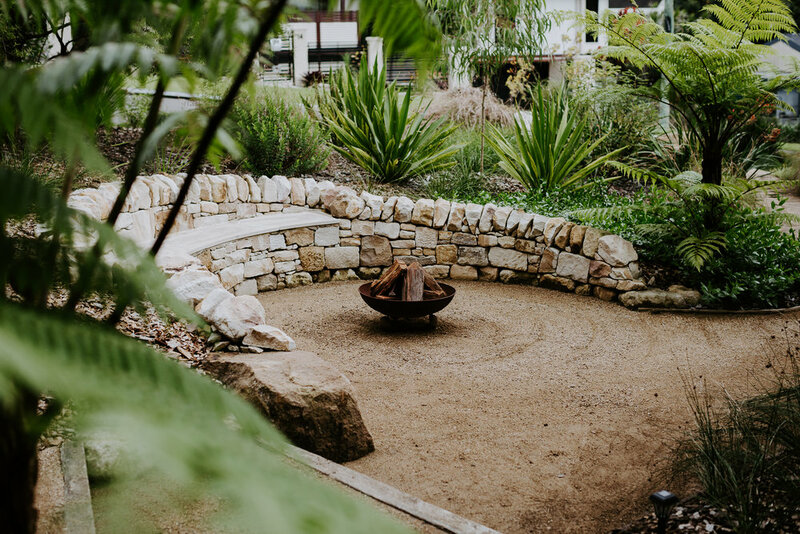 Permeable surfaces, natural wood and stone, and reclaimed materials also feature prominently in this beautiful and functional garden design.